The new issue of The Cascadia Subduction Zone is out! 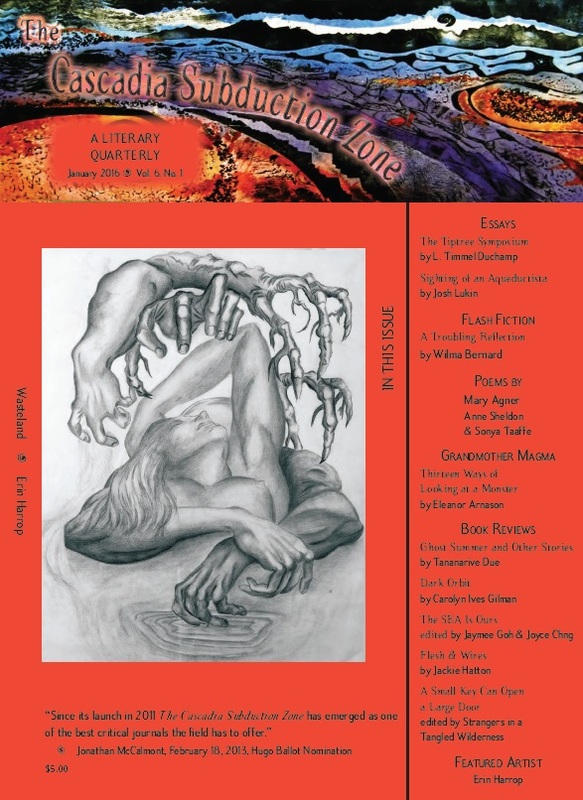 This general issue has an essay by me, a remark by Josh Lukin on a letter by Joanna Russ that was published in Twelfth Planet Press's Letters to Tiptree, a lengthy discussion of Frankenstein by Eleanor Arnason, poems by Mary Agner, Anne Sheldon, and Sonya Taaffe, reviews by Tanya DePass, S. Quioyi Lu, Nisi Shawl, Maria Velazquez, and Stevie Watson, and a profile of the art of Erin Harrop. Subscriptions and single copies (print and electronic) can be purchased at http://thecsz.com/.